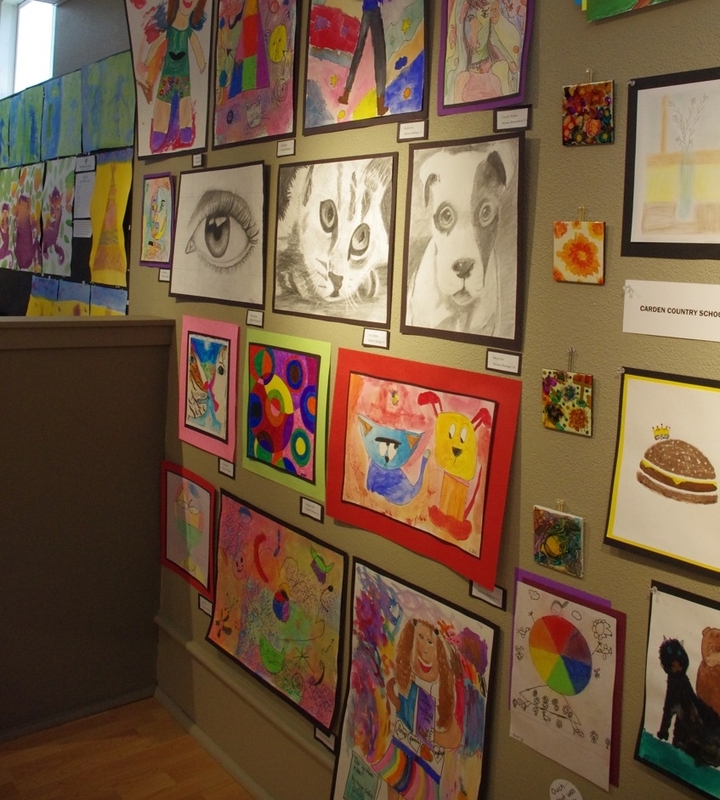 Elementary student art from our 2016 Student Art Show. Gallery photo. It's safe to say that as children, most of us are pretty creative. Then we grow up, and sadly, many of us squelch our own creative impulses with that voice in our head that says "you're not good enough to do this," or "stop playing around, it's time to get serious!" At The Art Project, we like to quiet that voice early and keep it quiet, celebrating artists of all ages and helping to keep the artistic fires burning. For the first time since the inception of the Amy Award for Emerging Artists—created in 2001 for exceptional Bainbridge Island artists under the age of 35—our gallery will feature the current works of almost every previous Amy Award honoree (in the visual arts) in one exhibition. You might be surprised by where life, and art, have taken them. Opening reception for The Amy Award: Where Are They Now is tonight, May 4, 6-8 pm. At the same time, our annual Student Art Shows will be in full swing, giving the youngest artists a chance to experience the feeling of presenting their work in a professional gallery exhibition. This year, elementary school students from schools all over the island will get their moment in the sun during the first half of May, while high schoolers will show in the second half. The high school Student Art Show opening reception and awards ceremony is May 24, 4-5 pm. Come see this wide arc of creative talent under one roof, and perhaps be inspired to re-light your own artistic fire. The exhibitions run through May 27. 2005 Amy Award honoree Tracy Lang's Resist. Powder coating on steel. Image courtesy of the artist.